Monkeys at last! Three species and 5 figures at once!!! 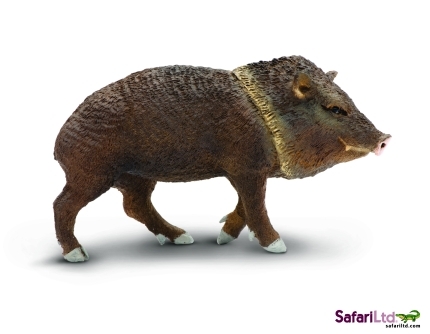 The list of Schleich figures to be discontinued in 2014 is available here. I have to buy grazing zebra, buffalo calf and one more warthog sow, I think. Now we know what Safari Ltd. will introduce in 2014 (the first among the major brands). And the re some very pleasant surprises! You can see the whole list of new figurers with hi-res pics here. 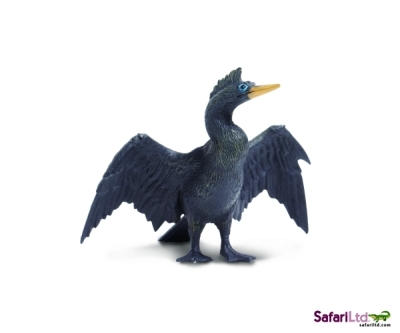 Anhinga - the first ever on the market among the major brands! Thumbs up!!! Peccary - the first one among the major brands! Hurray!!! Alas, no new trees this year. But I managed to get 4 Safari pine trees before they were discontinued! 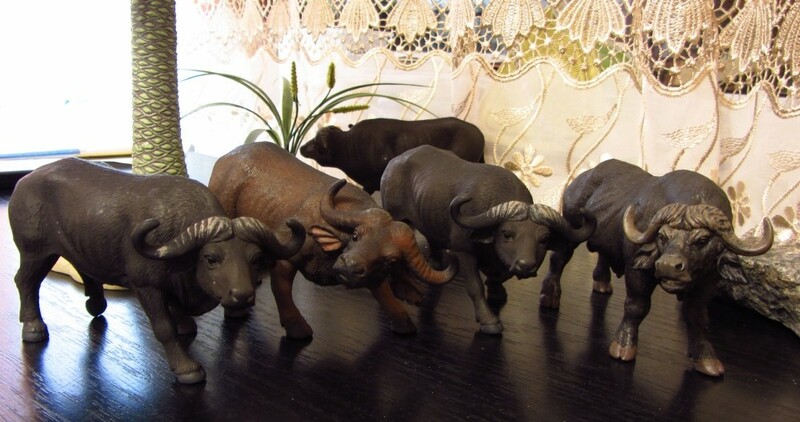 There was what I think to be a momentous event in the world of animal replica collectors: Nicoletta Lerch from MPV (Modellpferdeversand) organized the first animal figurines stock exchange in Munich in June 2013. Here are the details with photos. 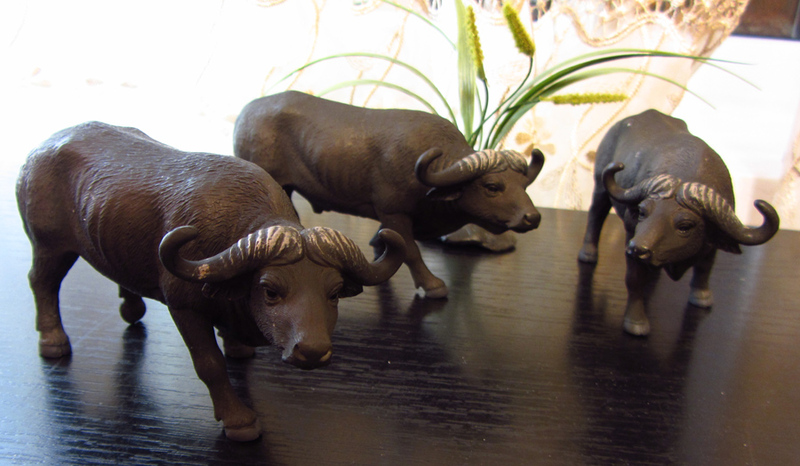 Now I'm an owner of a small herd of Mojo buffaloes! Two Griffon Vultures in 2013!!! 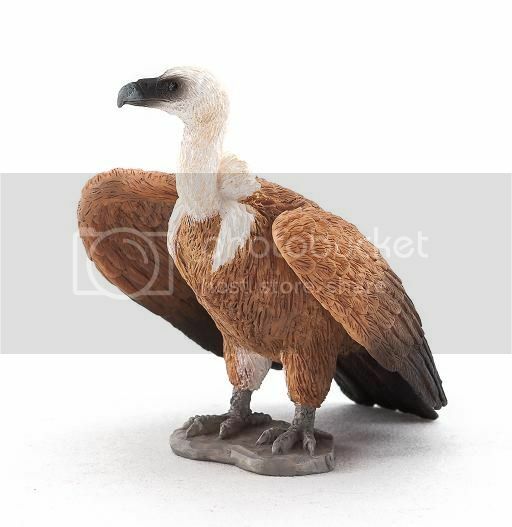 It's a great surprise that we'll have two figures of Griffon Vulture in 2013!!! Good news again! Mojo has posted pictures of its new animal replicas for 2013 on its official Facebook page. I'm most excited by the Female Brazilian Tapir. 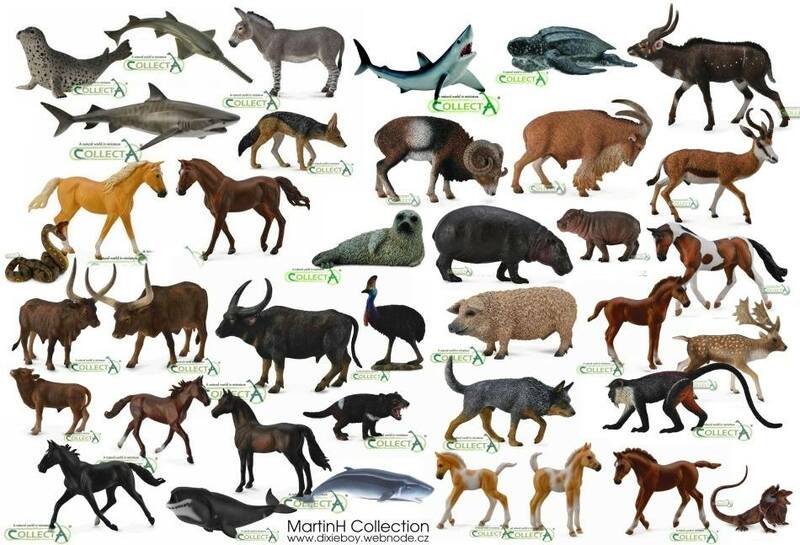 Plastic South American fauna has been lacking these animals for so long and now we have them!!! 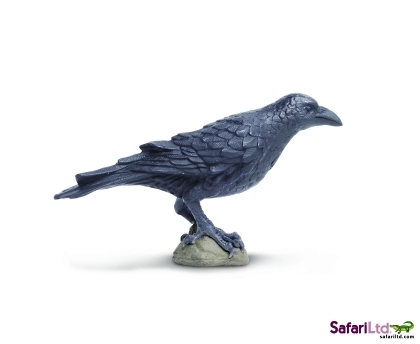 Good news for those who are fond of replicas of tree-dwelling animals and birds (i.e. for me ;)). Our fellow collector Numaan, who has contacts in CollectA, has said that "there were going to be at least 3 primates and 3 new birds for 2013, but due to the timespan and deadlines all of these were cut. Honestly the original 2013 list was nearly double the current releases but so many cutbacks were made." Even if these plans were postponed to 2014, I'm glad to hear that CollectA plans to introduce at least 3 (!) primates and 3 new birds. Hopefully, all of those primates are monkeys and not apes. 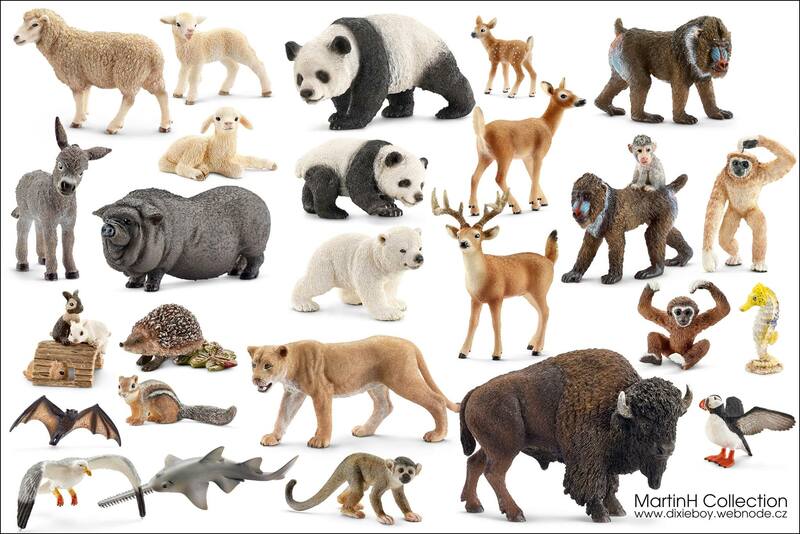 The pictures of new Schleich figurines to be launched in January 2013 became available today, on November the 13th. All the pics with numerous comments can be found at STS forum. I'll repost here only 4 pics with the wildlife figurines I like the most. There were rumours about a new snake in 2013, but no news yet. Maybe it'll be released in May?